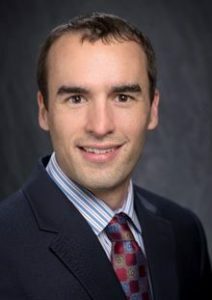 Samuel Snow is an assistant professor of environmental engineering within the Department of Civil and Environmental Engineering at Louisiana State University. He earned a Ph.D. in Environmental Engineering from Georgia Tech in 2014 after completing a B.S. in Earth and Atmospheric Sciences, also at GT. After completing his graduate work, Dr. Snow briefly worked at the Michigan Department of Environmental Quality before accepting a postdoctoral fellowship at Michigan State University in 2015. In the Fall of 2016, he began his appointment at LSU. Some of Snow’s research interests include the developing new water treatment processes and understanding the role of photochemical processes in environmental systems. One of the most motivating goals of his is to produce technologies that enable socio-economic progress in under-developed contexts: a topic that also bridges his teaching and research activities. Your recent Emerging Investigator Series paper focuses on photocatalysis for MBR effluent post-treatment. How has your research evolved from your first article to this most recent article? When I was an undergraduate student, I worked on a project that aimed to better understand phosphorus cycling in an estuarine system. As a graduate student, I delved into photochemistry and nanotechnology in an effort to advance new disinfection technologies. Gradually, my focus has expanded from my graduate work to investigate the role that dissolved organic matter plays in interfering with photochemical processes. My recent article highlighted here takes a novel approach toward understanding the inhibitory interactions between organic matter and photocatalysts. This work continues in my overall theme of investigating processes related to water quality, and I have enjoyed the foray into the field of dissolved organic matter. I am excited to be working in the field of photochemistry right now, because advances in LED technologies are opening up many new possibilities in water treatment. Whether it be retrofitting traditional UV disinfection systems or designing new advanced oxidation processes, I feel fortunate to have the opportunity to be involved with these new frontiers. Regarding the field of photocatalysis, there has been an elephant in the room for a long time. Despite decades of research and promise, photocatalysts have found very few practical applications. I believe the most pressing question would be, ‘how can we solve the problem of radical diffusion limitations (and thereby poor Contact Time) in photocatalytic systems?’ Photocalytic systems will only find practical application in water treatment if a robust answer to this question is formulated. I find that getting at the heart of any research question in the Environmental field requires extensive knowledge in other fields. At times, I feel I would need graduate degrees in materials science, analytical chemistry, and microbiology all at once to understand just one piece of the puzzle. Diving into literature outside my comfort zone is always challenging, humbling, and exhilarating. I will be in Orlando, FL for the American Chemical Society meeting in March/April, 2019. While I have not yet formalized my plans, I hope to attend the 2019 Sustainable Nanotechnology Organization conference with one of my graduate students. I enjoy spending time with my wife, with friends, and sometimes simply on my own for some introvert time. I tend to go with the flow in terms of recreation, but I particularly enjoy activities that challenge my mental and physical aptitude or simply involve peaceful time in nature. Basketball, Frisbee (ultimate and disc golf), fishing, hiking, and strategy games are all high on my list. I have a funny story here… When I was young, I always thought that I’d like to be a marine biologist. People always told me that there were too few jobs and they required so much school that I shouldn’t even bother trying. Ironically, I listened to that advice but then went on to jump through the equivalent academic hoops in environmental science & engineering. To answer the question: I probably would have followed my father’s footsteps and taken up computer programming. Do not to put the cart before the horse, particularly with regard to academic metrics. During my brief time outside academia, I was encouraged to read a book called The 4 Disciplines of Execution, and I found one core concept to be profoundly meaningful: lag- versus lead-measures. Impact factors, publications, presentations, and the like are all measures of success that lag behind the daily work. Those are the metaphorical cart. The lead measures are the horse, and we have to bet on what kind of horse can pull the cart forward. My personal bet is that tenure and academic success will follow naturally if I can lead my research group towards answering meaningful scientific questions by making weekly, incremental steps and by embracing failures (aka the moments when learning happens). It’s easier to adjust a lead measure that isn’t generating progress than to forcibly move the lag measures.